Even after reading the blurb for this book, it still didn't fully prepare me for the unexpected roller-coaster ride of vengeance, redemption, forgiveness and love. 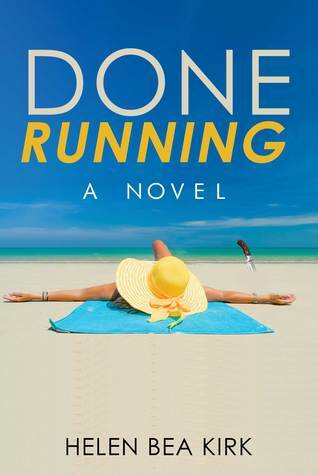 Done Running was a superbly written novel from beginning to end, where the characters are varied, flawed and very real. Our main heroine Porsha/Angela was a complete contradiction, beautiful and strong, but full of anger and hurt, with confusion and a bone-deep weariness transforming her after tragedy strikes the very heart of her. I loved every scene she was a part of, as we got to see a multitude of sides to her, how she interacted with family and especially Parker, the one man that she manages to loathe with every fibre of her being, and the one man that she can't seem to shake off, both physically and emotionally. Hounding her every step and stalking her thoughts. Parker's character was wonderful. Viewed and judged as a womaniser, with little to no morals he progressed thoroughly throughout the story from a hero that is seemingly hell bent on revenge, to a man that has so much love and honour in him, that any reader would be hard pressed not to fall in love with him. Miralda too was certainly a noteworthy character and perhaps the most damaged and complicated of them all. I really took a dislike to her in the beginning, finding it difficult to warm to her but as her own struggle presents itself and she is forced to reevaluate everything in her life, how she has behaved and thought for so long, her true personality starts to emerge. Through love and acceptance she finds peace and clarity. Done Running is very well written, even for having an array of different characters, each one has their own unique voice and style with the dialogue flowing easily and true to life. It relies on a mixture of things- characterisation, plot and the use of religion to bring it all together very nicely. Done Running is a thoroughly engaging book, dramatic, romantic, spiritual and entertaining. I look forward to reading much more from this author in the future. Sign into Goodreads to see if any of your friends have read Done Running.